Standing up to political correctness – and winning! Read more at: breitbart.com Click to see the original Facebook post. 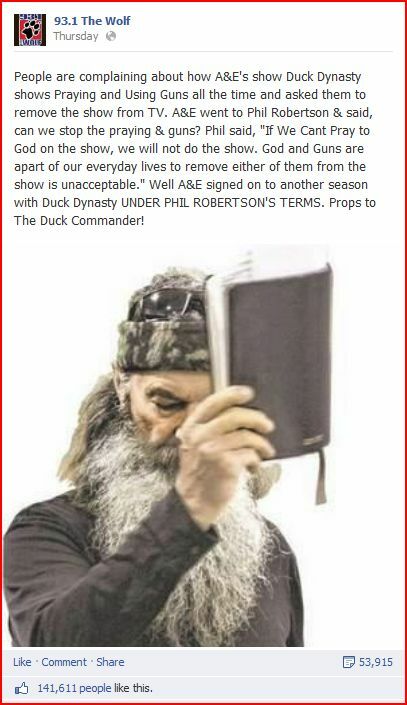 This entry was posted in 1st Amendment, 2nd Amendment, Constitution, Media, Unalienable Rights and tagged A&E, Censorship, Duck Dynasty, Political Correctness, Politically Correct. Bookmark the permalink.